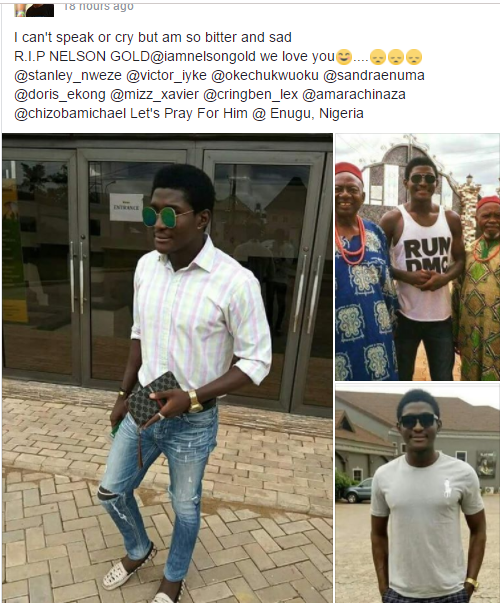 Nigerian actor, Ezeora Nelson Oluchukwu a.k.a Nelson Gold, has gave up his ghost just after 10 days of celebrating his 26th birthday. The graduate of University of Nigeria, Nsukka, according to reports, slumped at a movie location in Enugu and was quickly moved to the hospital where he gave up his ghost after being in coma for days. He died on 15th on June 2018.